– Art Institute of Chicago, Chicago, IL, “36th annual exhibition of American paintings and sculpture“, November 1 – December 9, 1923, #43, not illustrated. – The Carnegie Institute, Pittsburgh, PA, exhibition catalog, “Emil Carlsen exhibition”, June 1 – August 31, 1923, #7. – The Art Club of Philadelphia, Philadelphia, PA, exhibition catalog, “Exhibition of oil paintings by Lilian Westcott Hale, Emil Carlsen, and Charles H. Davis”, February 24 – March 18, 1923, #3, not illustrated. – Salmagundi Club, New York, NY, exhibition catalog, “The past presidents of the Salmagundi Club“, January 8-28, 1921, #33, not illustrated. – Pennsylvania Academy of the Fine Arts, Philadelphia, PA, “One hundred fourth annual exhibition of the Pennsylvania Academy of the Fine Arts“, February 4 – March 24, 1909, #413, not illustrated. – Note from Mr. John O’Conner, Carnegie Institute business manager to The Art Institute of Chicago Director, Robert B. Harshe, American Art Archives, box 188, folder 1 [see below]. 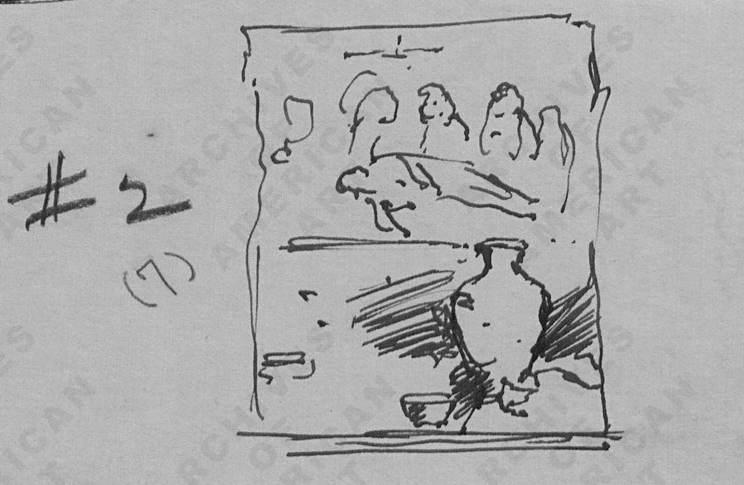 – Image of the painting as a sketch from Emil Carlsen to Museum directors, American Art Archives, Carnegie Institute Collection, Box 188, Folder 1, pg 94.